I am a baker, a writer, business woman and a social entrepreneur. I have an MBA from London Business School and until 2005 I was a partner in a strategy consulting firm, working with senior executives in international professional services firms to help resolve strategic, organisational, and leadership issues. From 2005-2010 I spent most of my time working as an independent consultant and moon lighted as a professional baker. For six months I worked on a project to develop a contemporary understanding of virtue and how to embed it more deeply and broadly in society at large, as a way to get us out of the mess the financial crisis had brought to light. In 2010 I woke up one morning and realised I could change the world through bread. I set up Virtuous Bread to make it fun and easy for people all over the world to make, find and learn about good bread and in so doing to forge the link between bread and virtue. I feel like everything I have ever done in my life has led me to precisely this point. I would like to help create a world in which we are more responsible regarding the choices we make: what we eat, what we do, how we treat each other, and how we can build communities that are based on positive and progressive relationships. Currently I am running Virtuousbread.com, baking, teaching, speaking and writing to demystify the process of baking bread, and focus on the way that it continues to play a central role in our lives, tables, and traditions. My first book, All You Knead is Bread, has over 55 easy and elegant bread recipes from around the world as well as stories and travelogues. It was published in October 2012. My second book, The Book of Buns was published in the autumn of 2013. There is a Facebook group full of people all over the world who are baking their way through it! 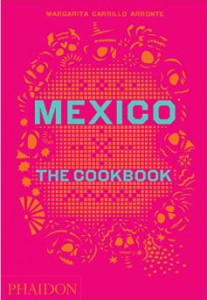 I am the contributing editor on a great book on Mexican Cooking called Mexico - The Cook Book, published in November 2014. My third bread book, published in May 2016, is a book on how to bake sourdough bread. You can see it here on Amazon. I have another book up my sleeve that combines food, bread, travel and my love of all recipes international, simple, delicious, and contemporary. As a hint - the subject of the book is the top emerging food trend in the UK! I would like to work with a new publisher on it so if you are a publisher and you are interested, let me know! So Miss Jane...to follow-up. My frozen bread thawed nicely but I found it did not rise as much as I would have lliked...so was a bit dense (or was that me?). Am going to try again with something a bit 'lighter' than the multigrain. First thing on my agenda when these bloody nightshifts are done (Wednesday). Also want to fiddle with something for rolls or bread for a party I'm throwing for my husband's 50th on the 23rd. You didnt answer if you were coming back to Canada any time soon? What are you feelings of my coming to visit you for a week or less sometime this coming year? Is it presumptuous of me to invite myself? Jane are you related to a Richard Hemingway & Shirley from Ogden Utah ..? If so please let me know please .....we are good friends from what 1984/1985 ? Hello! I am afraid i am not that Jane Mason! I am a scientist,a wife, a mum of 4, a professional potter, a knitter, a stitcher, a "taxi" driver, a vegetable grower, a cook , and now I am experimenting with sourdough!!! All day I have been thinking for a way to put all this activity into some sort of useful structure and not just a series of hobbies, may be doing some good for the world and possibly earning some money to help the family budget! May be your idea can help.... Where are you based? Hi Alan, thank you for this! I just recently had that problem pointed out to me and I have contacted the publisher to get it fixed. If you put in 50 g of sugar that is perfect. Sorry! Hello! We are in London with trainers in some other parts of the UK as well. Would love to know more! I bought your beautiful book All you Knead is Bread. I need your help with a clarification: the measurements ! In your recipes, are the gram measurements not equivalent to the cup measurements ? If I use the gram measurements, I assume I should not mix/match with the cup measurements you cite. If they are not equivalent, then wouldn't each the yield of the recipe depend on what I chose to follow (either grams or cups) ? To give you an example.... the Roti recipe calls for "200g water/1 1/3 cup" but the 'simplest bread' (first recipe of the book) calls for " 200g / 3/4 cup plus 2 tablespoons of water" . I'm confused and in need of your clarification. Cheers. good lord, we seem to have a big problem, that should have been caught by the publisher. To clarify - you have caught a mistake! The right answer is that 200 g water = 3/4 cup plus 2 tablespoons. I will let the publisher know! Thank you for writing. Is there any way to for me to change the background of your site as I'm having trouble seeing it. Hello, I am sorry for that but no, I cannot change it and I don't think readers can either! So sorry. 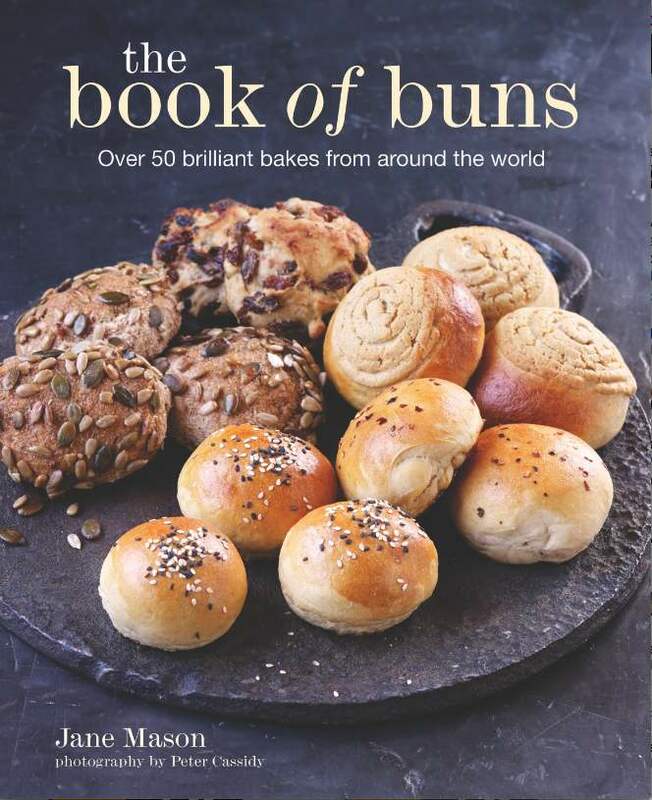 I have just come across your book 'All you knead is bread', which looks great. I am bemused, though, as the total lack of any mention, anywhere (as far as I can see) of sugar. Almost every other bread recipe I have come across adds a teaspoon or two of sugar as substrate for the yeast, yet it is not mentioned anywhere at all in your recipes. Why not? PS - I have tried a couple without sugar, as you specify - complete failure! In fact, you do not need sugar in bread and I am mystified why your bread without sugar would be a failure. So, is your yeast within date and did you use water that was cold enough to NOT kill it? Sugar, within reason, merely speeds up the rising process. Yeast likes sugar and so when it eats it, the yeast goes into overdrive. In a factory process it is a way of getting the bread out the door faster. I never use it unless I am making enriched bread. You will see most of my recipes call for 10 minutes of kneading (whether by hand or machine) and also a 1-2 hour first fermentation period. All of this to help the bread rise without the sugar. The yeast happilly eats the sugars in the flour - they are not so refined, however, as to cause the yeast to jump up and run. Please try again - be patient - and let me know how you get on. Wonderful to hear you honor bread and its transformative power. Came here to let you know that had great success with Peasant Bread in "Homemade Sourdough. Addition of coriander unexpected and delightful flavor plus. Wanted to share link with another baker and found Amazon critique of book's rye starter recipe--page 41. Since using own starter, will continue to try your intriguing recipes. Best of luck in your mission! Hi there, thanks for this - I have responded on Amazon too! The reality is that there are a billion ways to make a starter and make bread - but some people may not know that! It's all about ratios - yeast colony to flour to water - and it is infinitely variable! Also, FYI the book will be reprinted in the spring after I test and re-write all the recipes. I did not write them and many people have written in with questions. So, the publisher has asked me to test and re-write in January because the author of the recipes has refused! If you want to take your book back and get a refund, do - it will be re-released in the spring! Jane, in Perfecting Sourdough, is the water and flour used to build the starter subtracted from the second day ingredients? Thanks. I noticed in your comment to Naomi at the end of 2015 that the book "How to Make Sourdough" was possibly updated. Did this actually end up happening? Would I find this revised version on Amazon UK? 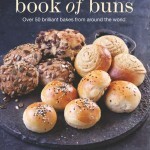 I just ordered your "The Book of Buns" thanks to a blog post by the excellent baker Karen Kerr. Can't wait to dive into baking from your books. than you so much for your kind message. It was lovely to receive. 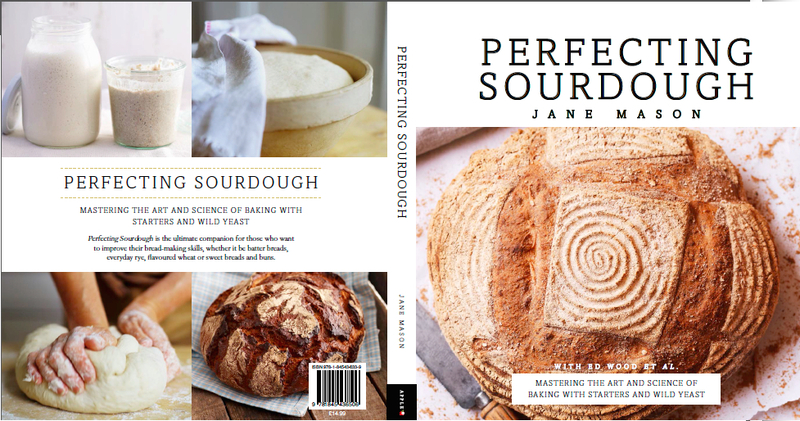 Yes, How to Make Sourdough was updated to "Perfecting Sourdough" and it is on Amazon. There are facegroups called "Baking our Way through Perfecting Sourdough" and "Baking our way through the book of buns" if you would like to join them and bake in an online community! Thankyou. I have the Homemade Sourdough bread book and I'm doing quite well with it. My question is do I have to use milk in some of the recipes. I follow a vegan diet with an occasional egg and the use of ghee. I do not use milk. Can I use water instead? I am glad you are doing quite well with it because I am going to be honest with you, I did not write the recipes (I wrote the science) and the publisher had so many complaints about the recipes that they asked me to rewrite the book completely which I did. 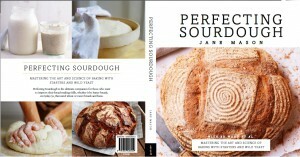 The new book is called Perfecting Sourdough. However, if you are getting on ok with the recipes - crack on! As re milk, (and eggs, etc) you can substitute. Firstly, have a read here: http://www.virtuousbread.com/bread-and-conversation/simple-recipe-for-delicious-vegan-sweet-treats-conchas/ It's long (sorry) but it does talk about substitution for vegans. Short answer is you can substitute any drink you like in the sourdough bread. If it calls for sour milk just squeeze in a lemon. Good luck! Having been given All you knead... for my last birthday I'm not well into making bread. Mostly rye and maritimers'. and was encouraged to drop you a line. Knowing which breads are healthy is one thing, being able to bake them (as a novice) is another. I think it may be the case that 'healthier' breads pose more of a problem, for example, even rye doesn't rise as well as strong bread flour. If you can point me towards any information that addresses this question I'd be most grateful. Not that I'll be abandoning your lovely book, farinata, is coming next. Many thanks for starting me down the 'bread path'. You ask a bundle of excellent questions. You say you are "not well" into making bread - does that mean you are not being successful? 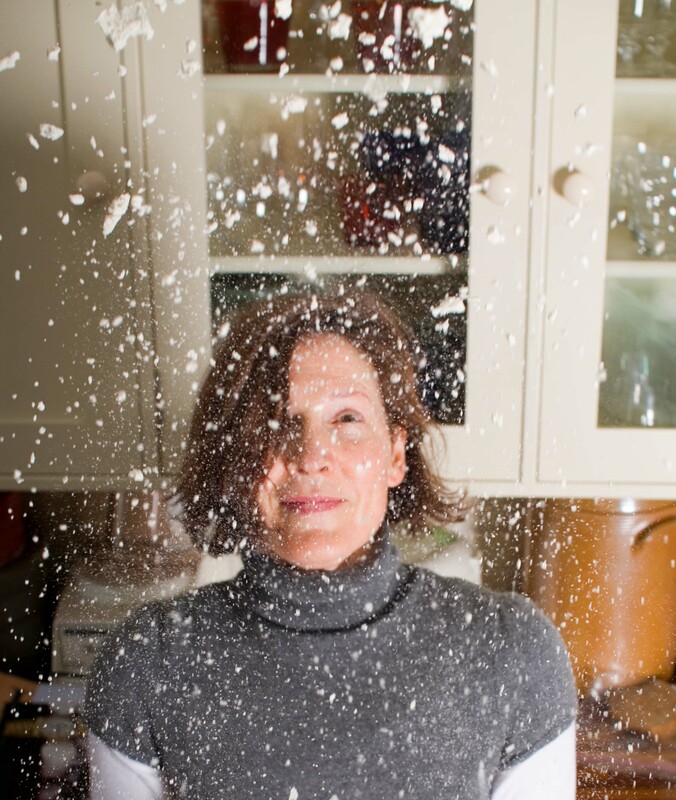 Flour is complicated - in the way that food is complicated. I am not a nutritionist but am deep into the food and nutrition world and can only tell you that there is little agreement on anything. I have highly educated and super healthy vegan friends and see the health aspects of that choice. I also see the benefits of the Weston Price philosophy. The only thing anyone can agree on, whether or not you are vegan, vegetarian, or omnivore, is that you should eat as wide a variety of fresh, unrefined,food as possible. You then have to make a choice whether organic is a positive or negative label. Also whether meat and eggs (if you eat it/dairy included) should be anitbiotic and hormone free and fish should be wild or farmed and if farmed, how. So, you have no easy answers. As re grains, I choose organic because I believe in it, but I know many who don't. I choose stone ground because I believe in it. I choose to eat as wide a variety as possible. Sometimes I eat white bread, sometimes I eat whole meal (whether it's spelt, wheat, kamut, rye, emmer, einkorn). I also eat bread made with a mix of grains that can include any of the above as well as oats, buckwheat, millet, barley, etc. - either in grain (cooked) or in ground form. I make "long fermentation" bread to enable the yeast in the bread to ferment the flour well before baking, thus making it easy to digest. All flour tastes and performs differently and the big divide is whether there is gluten and what type of gluten it is. Stretchy gluten grains (wheat family) rise the most and can form large holes in the bread. The higher the gluten content the higher the bread can rise and the larger holes can be supported. Non stretchy gluten bread cannot form large holes. Non gluten bread cannot form large holes. Rye has gluten but it is not stretchy. You cannot compare it to wheat - and certainly not to high gluten wheat flour. The performance is completely different due to the different type and strength of gluten. When you write "even rye does not rise as well..." you are expecting it to do something it cannot do. Rye will never rise as well as even a weak bread flour. The gluten in rye does not allow it to rise very far. In All You Knead Is Bread there is some discussion of gluten. Performance however does not indicate health. Health is a function of how the grain is grown, processed, and prepared and the role it plays in your diet. You can look on the Real Bread Campaign website for more information. Hi Jane - g’day from South Australia. I see Amazon is doing a Kindle version of your previous ‘All you knead’ book. Will there be one for Perfecting Sourdough? Cheers.